M/E Wagner offers adaptors for various applications which do not mount the PCV valve in the valve cover. 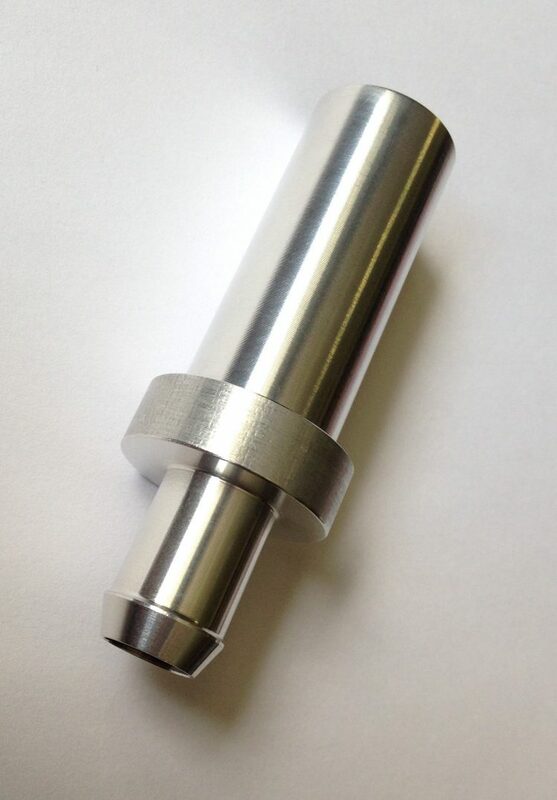 Adaptors are sold together with the Dual Flow PCV Valve as a package. If you have ordered a Dual Flow PCV Valve in the past, and would like to order an adaptor separately, contact sales@mewagner.com. The DF-17 Dual Flow PCV Valve is offered with an optional Inline Adaptor for PCV applications which do not mount in the valve cover. It is ideal for limited space applications, inline PCV systems, as well as road draft tube conversions. 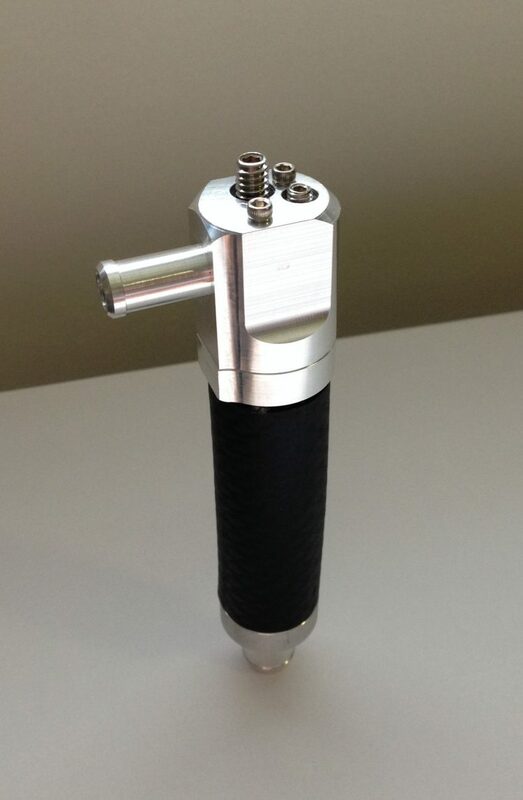 The Inline Adaptor converts the DF-17 PCV Valve to an inline style PCV valve (3/8″ I.D. 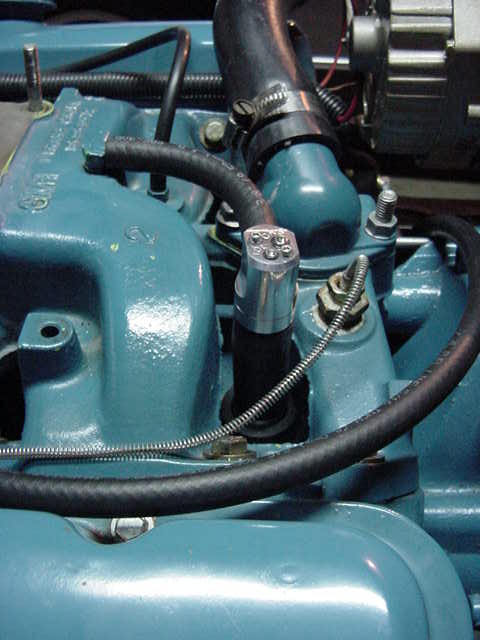 PCV hose connects to both ends of the valve, rather than 3/8″ I.D. 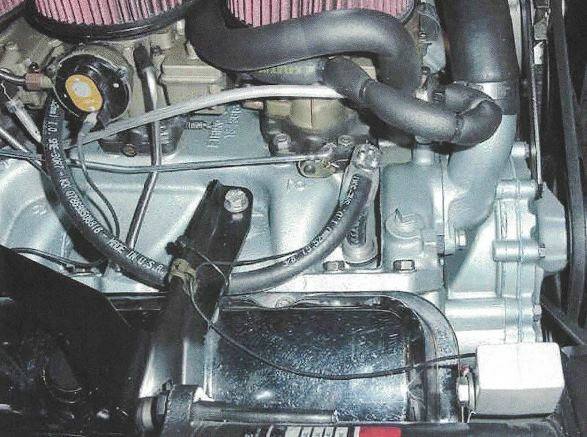 PCV hose on one end and a direct valve cover grommet connection on the other). The Inline Adaptor bolts to the bottom of the DF-17 Dual Flow PCV Valve to two pre-tapped holes. It is possible to remove the Inline Adaptor at a later date if desired. 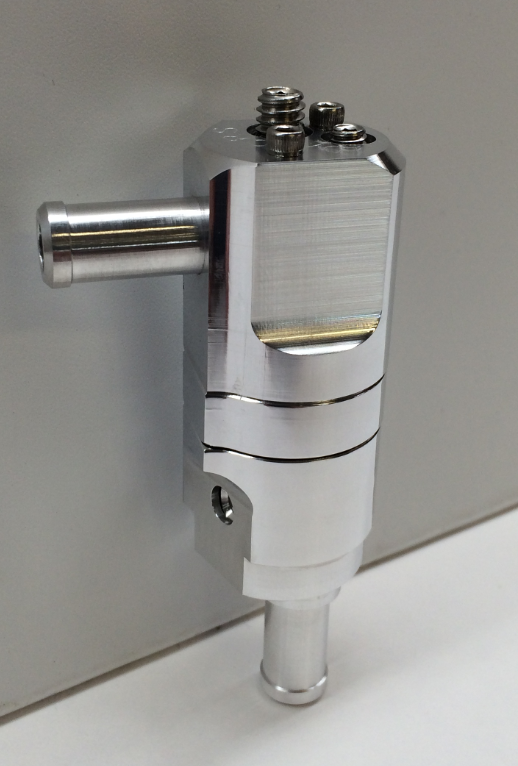 The DF-17 PCV Valve may be mounted vertically or horizontally while using the inline adaptor. Each inline adaptor ships with printed instructions, which can also be downloaded here. Dimensions are available here to help you plan your installation. To order, navigate to the Dual Flow PCV Valve page and select “With DF-17-INL Inline Adaptor” when adding to your shopping cart. M/E Wagner has partnered with Jon’s Tri-Power Service to offer a valley pan adaptor for engines which originally mounted the PCV in the lifter valley pan. Although this was originally developed for Pontiac applications, it can be used on any configuration that uses a 1/2″ inside diameter grommet (note that most PCV valve cover grommets are 3/4″ inside diameter). The base of the DF-17 PCV valve mounts in a 3/4″ inside diameter rubber hose, the other end of the rubber hose fits onto the aluminum valley pan adaptor. A DF-17-INL inline adaptor is not required to use this version of the valley pan adaptor. The included rubber hose can be trimmed to length to achieve the desired mounting height. Dimensions are available here to help you plan your installation. To order, navigate to the Dual Flow PCV Valve page and select “+DF-17-VP1 Valley Pan to 3/4 Adaptor” when adding to your shopping cart. 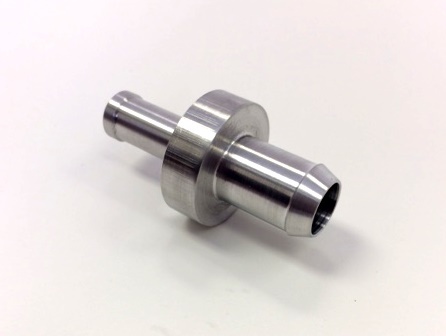 M/E Wagner has partnered with Jon’s Tri-Power Service to offer a second version of their valley pan adaptor for engines which originally mounted the PCV in the lifter valley pan. Although this was originally developed for Pontiac applications, it can be used on any configuration that uses a 1/2″ inside diameter grommet (note that most PCV valve cover grommets are 3/4″ inside diameter). 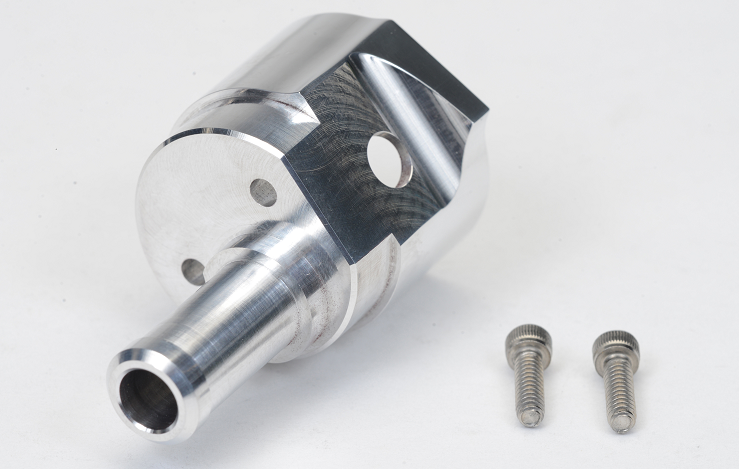 This adaptor has provisions for connecting to a 3/8″ diameter PCV line, which is then connected to the DF-17 PCV valve’s inline adaptor fitting. Note that the DF-17 PCV valve must be used with the DF-17-INL inline adaptor in order to use this valley pan adaptor. One DF-17-INL inline adaptor is included in the purchase of the DF-17-VP2 kit. 3/8″ PCV line is not included. To order, navigate to the Dual Flow PCV Valve page and select “+DF-17-VP2 Valley Pan to 3/8 Adaptor Kit” when adding to your shopping cart. Try it risk free for 30 days: We’re so sure you’ll be impressed by the quality and functionality of our products, we offer a 30 day return policy. Simply pay the return shipping and we’ll issue a full refund – no questions asked. Read our full return policy here. For information about dealer / professional discounts contact sales@mewagner.com.